Dr Lori told me to look for this open house in October. I wasn’t aware it was in Sept. I called the office and someone told me that it will be in November. Was the Sept one held? I will be out of town in November. Can I still use the Sept one? Our Holiday Open House will be in November, if you are out of town during the event, feel free to call our office on the date of the event to place your order over the phone, 225-769-7546. 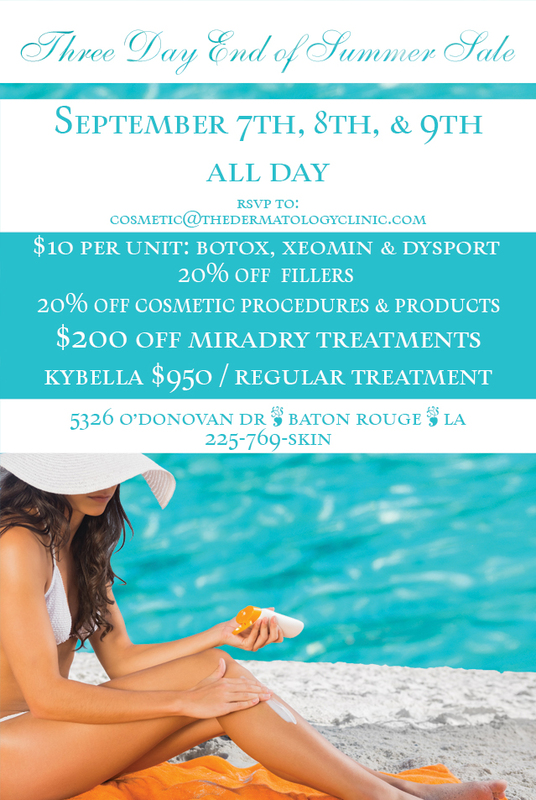 If you are unable to call, you can email your order on the date of the event to cosmetic@thedermatologyclinic.com and someone will contact you for payment.